Polishchuk, Valeriian (Valerian) [Поліщук, Валеріян (Валер’ян); Poliščuk, Valerijan (Valer’jan)] (pseuds: Mishe-Name, P. Valchuk, Valeriian, Valero, Vasyl Sontsvit, Mykyta Volokyta, Filosof z holovoiu khlopchyka, Futur-bilsh), b 1 October 1897 in Bilche, Dubno county, Volhynia gubernia, d 9 October 1937 in Sandarmokh, Karelia region, RSFSR. Writer and literary critic and theorist. His first published work appeared in 1918. 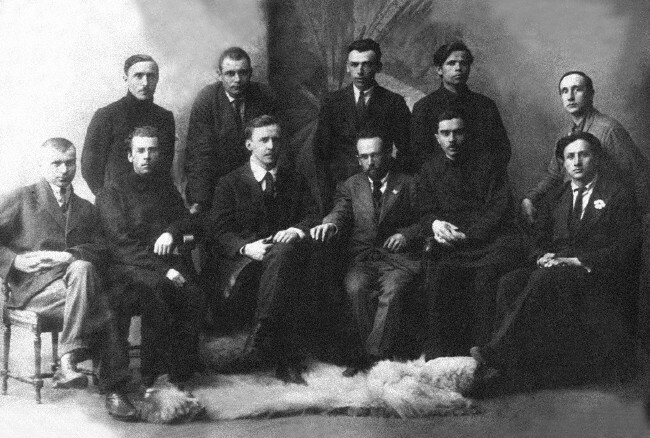 In 1921, together with Petro Yefremov and Valeriian Pidmohylny, he published the literary and artistic miscellany Vyr revoliutsii (Vortex of the Revolution) in Sicheslav (now Dnipropetrovsk). From that year he worked for newspapers in Kharkiv. 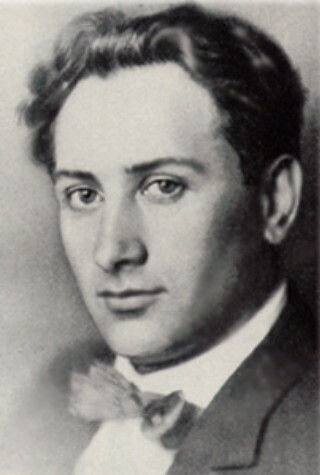 There he joined the working-class writers’ group Hart in 1923, and in 1925 he founded the smaller group Avanhard (Avant-garde), which advanced a program of constructivist dynamism (or spiralism) and was influenced heavily by Russian (Ilia Selvinsky), west European (Emile Verhaeren), and American (Walt Whitman) avant-garde literature. 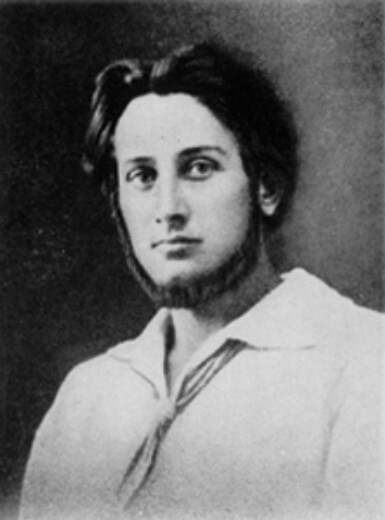 Polishchuk elaborated the idea of free-verse khvyliady (‘wave cycles’). 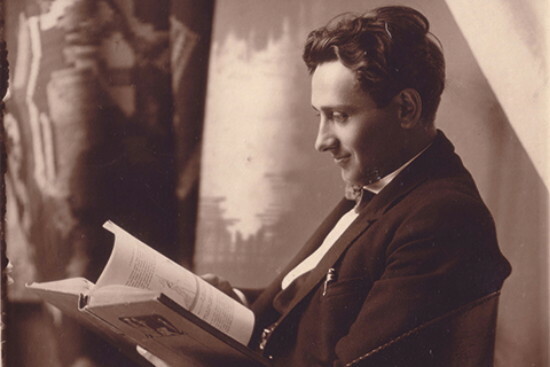 He produced over fifty books of poetry, prose, essays, and children's literature. 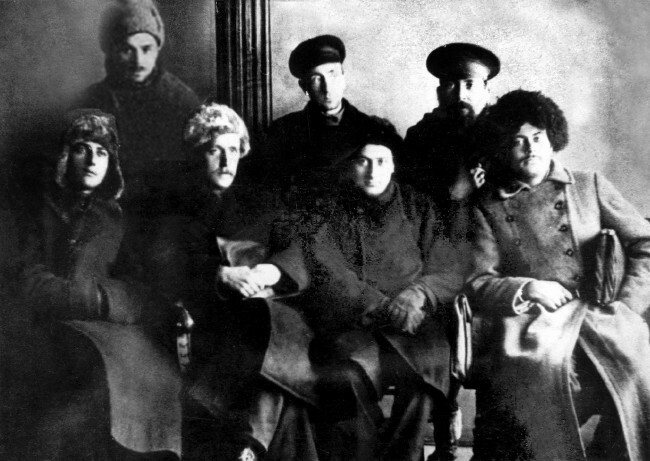 His communism is most evident in his long poems and poetry collections Lenin (1922), Duma pro Barmashykhu (Duma about a Barmash Woman, 1922), Zhmutok chervonoho (A Bunch of Red, 1924), Evropa na vul’kani (Europe on a Volcano, 1925), Metalevyi tembr (The Metal Timbre, 1928), and Elektrychni zahravy (Electric Dawns, 1929). 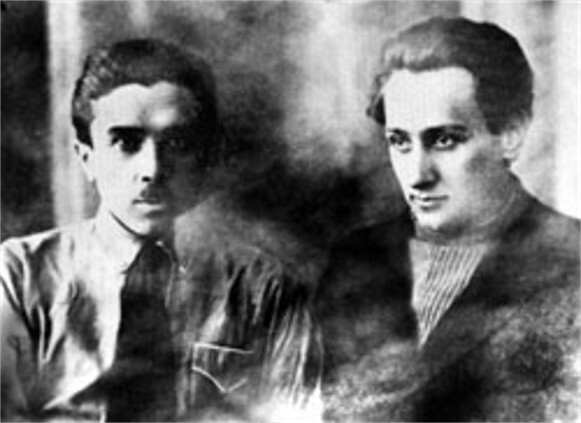 Polishchuk also wrote the short novels Chervonyi potik (Red Stream, 1926) and Hryhorii Skovoroda (1929) and a book about the Donbas, Povist’ metalu i vuhillia (A Tale of Metal and Coal, 1931). 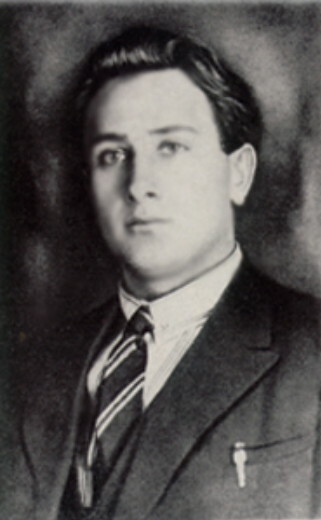 Polishchuk was arrested and tried in 1934 for belonging to a fictitious anti-Soviet ‘Ukrainian National Socialist party.’ In 1935 he was sentenced to ten years in a prison on the Solovets Islands, where he was later executed by the NKVD. He was posthumously ‘rehabilitated’ in the late 1950s. Editions of his selected works were published in 1960 and 1987. 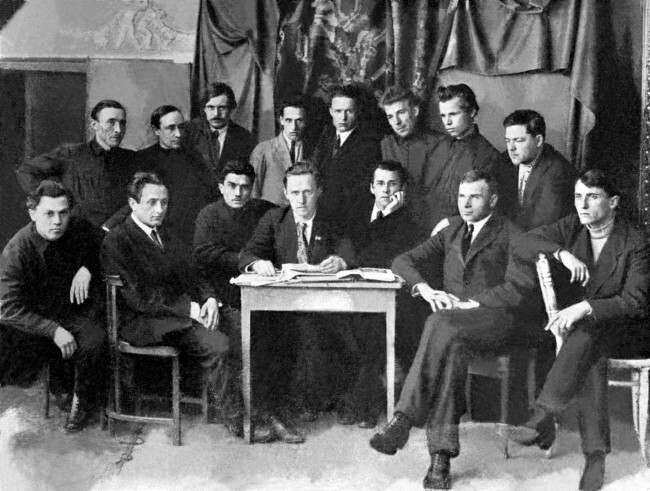 Two books—one with his autobiography, diary excerpts, and selected letters and another containing his selected literary legacy, memoirs about him, and tributes—were published in Rivne in 1997.